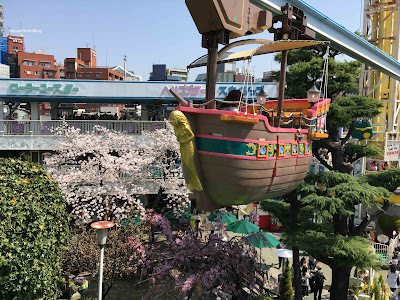 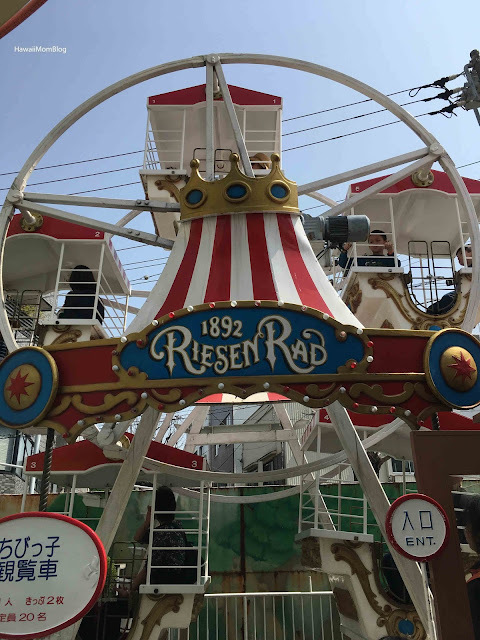 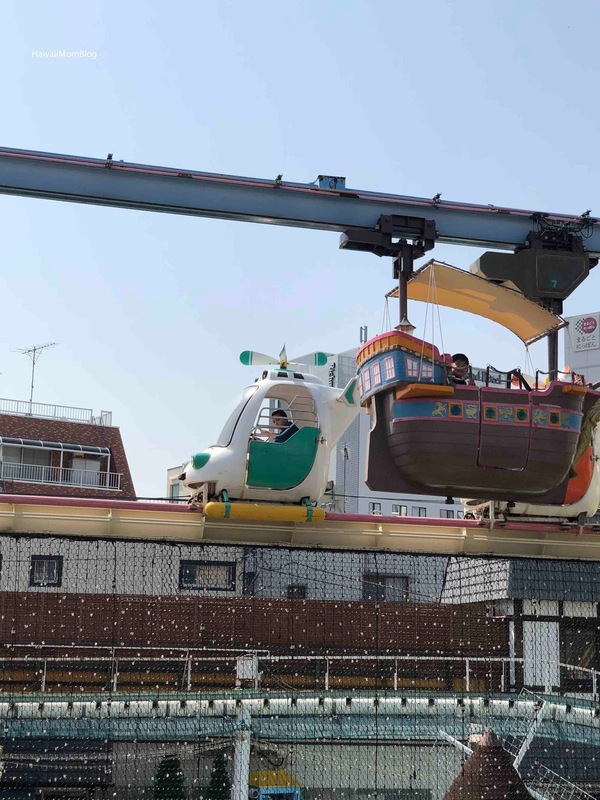 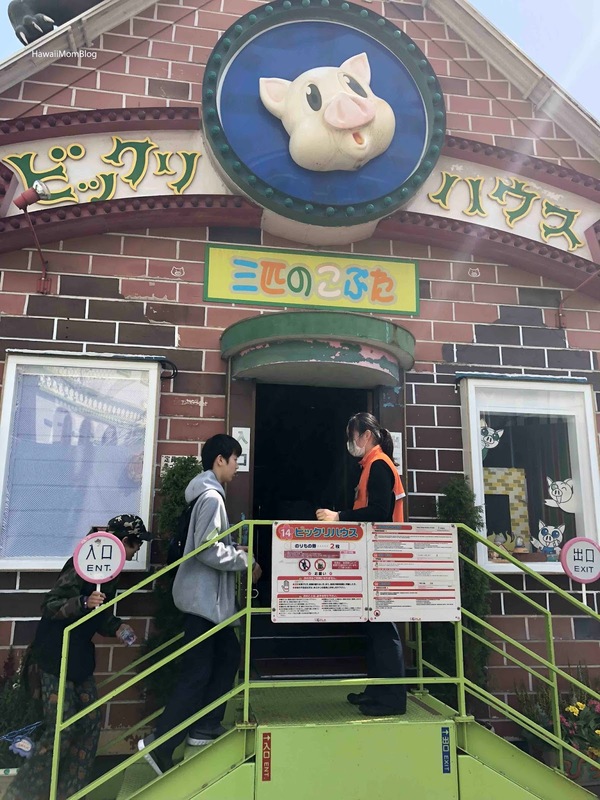 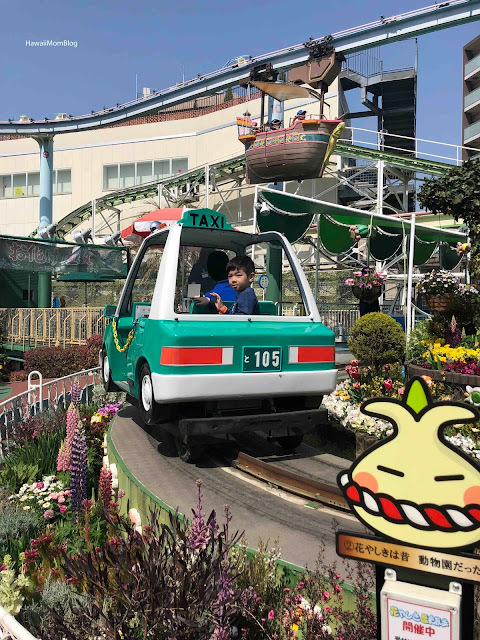 Hanayashiki is the oldest amusement park in Japan! 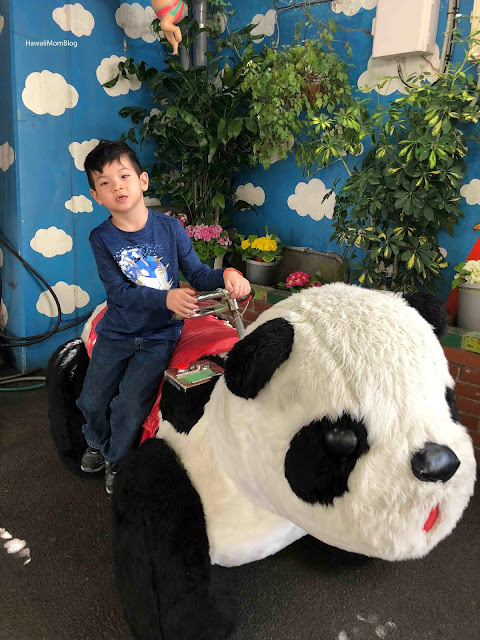 This very small amusement park packs a lot of rides into a compact area. On top of an admission fee, there is a ticket cost per ride. 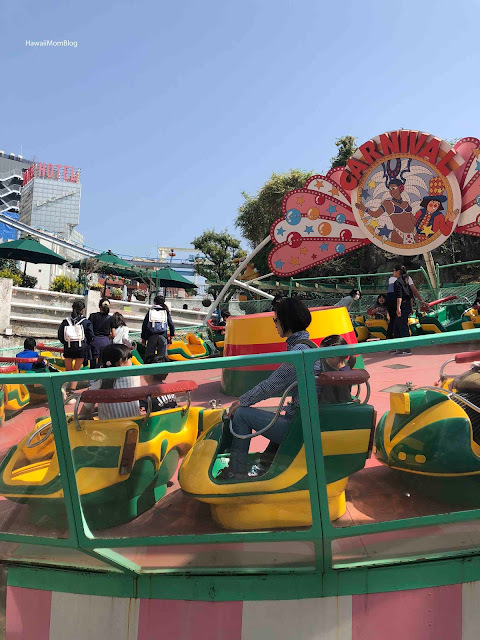 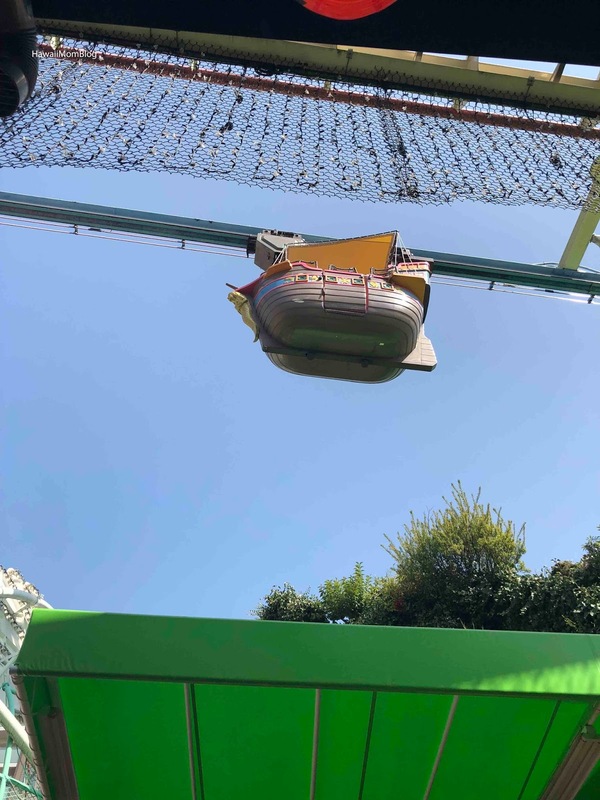 If you plan to stay at the amusement park for a while and go on multiple rides multiple times, get the Free Ride Pass, which is basically a wristband for unlimited rides. We bought the kids wristbands, and bought a few single tickets in case we wanted (or needed) to ride certain rides with them. Hanayashiki was fairly crowded (we were there during Tokyo's spring break), but for the most part, lines were very short with minimal wait times. 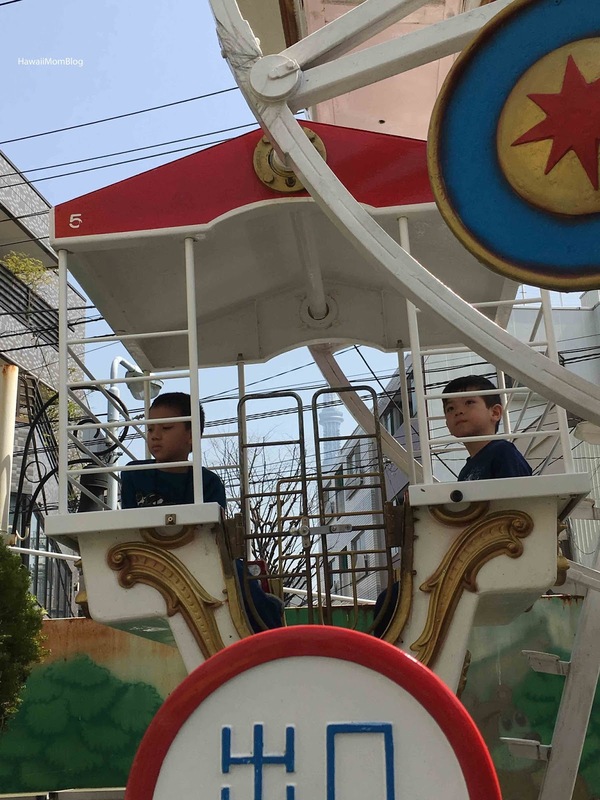 The longest line one of my kids waited in was for the Roller Coaster (approximately 45 minutes). My youngest absolutely loved the House of Surprise, but he disliked the Haunted House (it was a little creepy, but nothing too extreme). 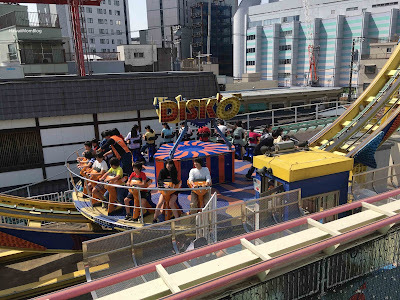 On site is an arcade, as well as games and eateries. 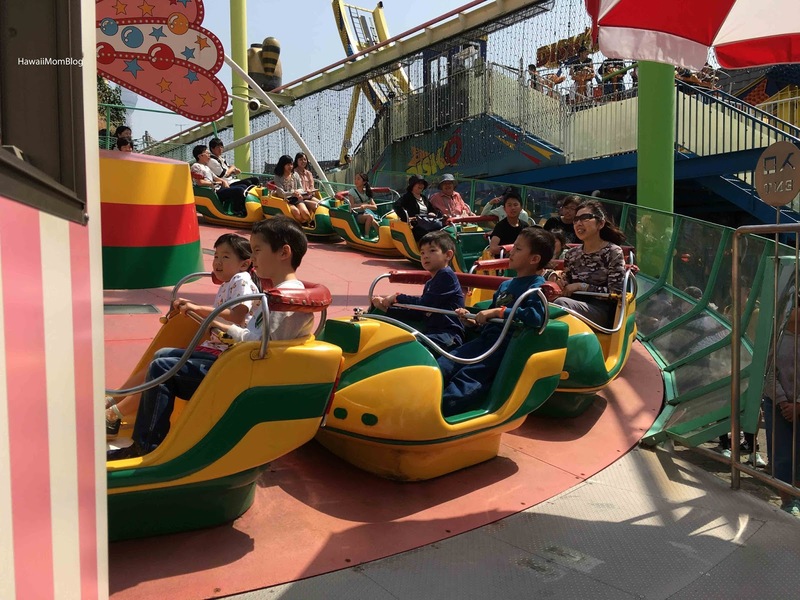 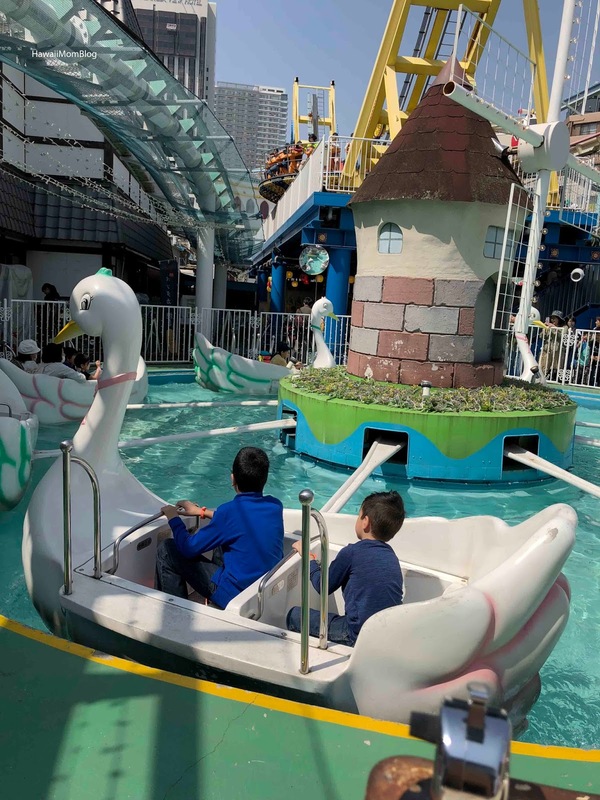 Although there are a few "extreme" rides, for the most part, the rides are very kid-friendly. 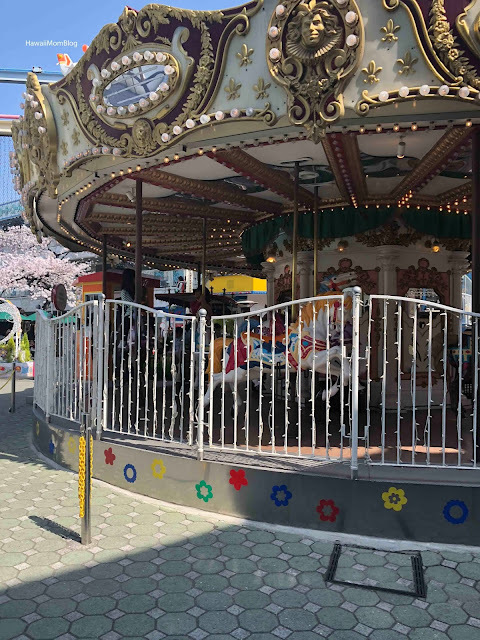 Hanayashiki was a fun place to spend a few hours!